A classic, rustic quiche is one of my favorite dishes. It is light, has a smooth and creamy texture, tastes just as good for breakfast as it does for lunch and even dinner. Eat it by itself, or with a nice green salad as sidekick. Talk about classy comfort food! The original Quiche Lorraine recipe comes from the region Lorraine in France. Lorraine used to be called Lotharingia, and it used to be German. 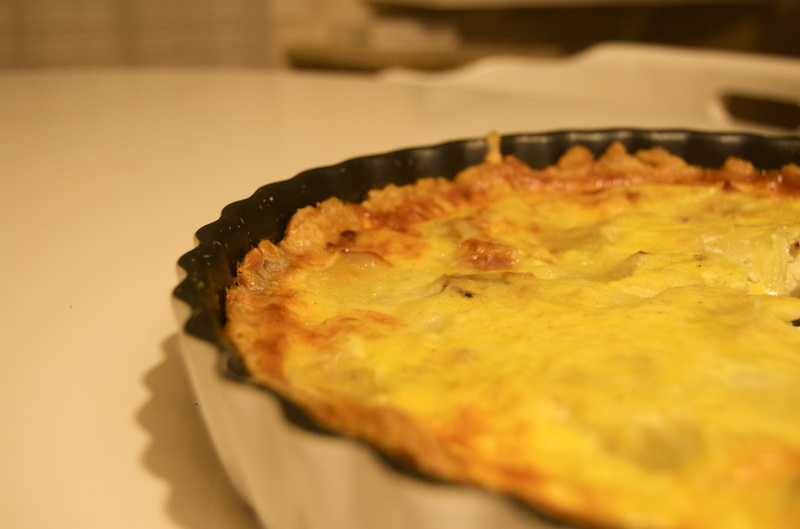 The word quiche comes from the German word “küche” (Kuchen = cake), and this became the Quiche Lorraine. 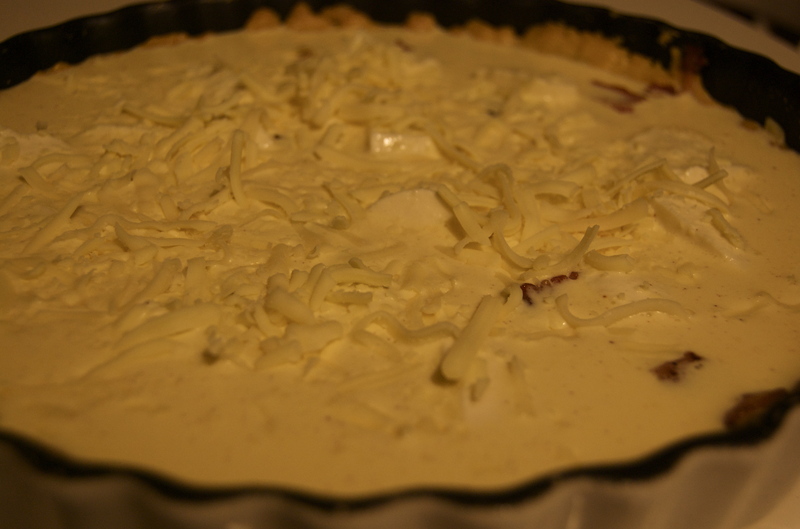 The classic recipe is an open pie with a egg and cream custard, bacon and cheese – preferably Gruyère. Ok, nuff said about the origin of the quiche. Let´s get to cookin! Start mixing the ingredients for the pastry. Just toss them all in a bowl and use your hands to mix into a dough that holds. You can also use a food processor. Sprinkle some flour onto your working surface and roll out the dough as thin as you can. 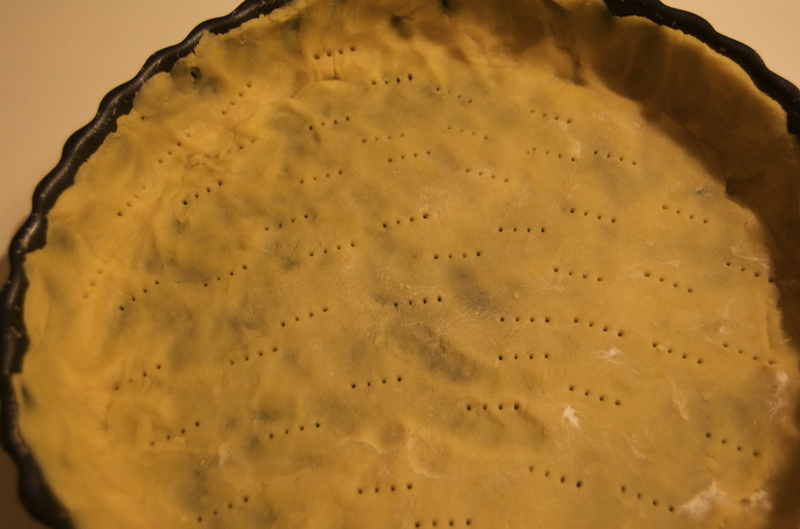 Lay it in a pie dish, and press it into the flutes of the dish. Now prick the bottom with a fork. Cover with aluminum foil and chill in the refrigerator for about 10 minutes. Put a baking sheet in the oven and heat the oven to 200 degrees Celsius / 390 degrees Fahrenheit. Bake for about 15 minutes still covered by the aluminum foil, then remove the foil and bake for another 4-5 minutes or until it is pale golden. While it bakes, prepare the fillling. Cook the bacon until it has a nice colour (before it turnes crispy), and place on paper towels to drain off excess grease. 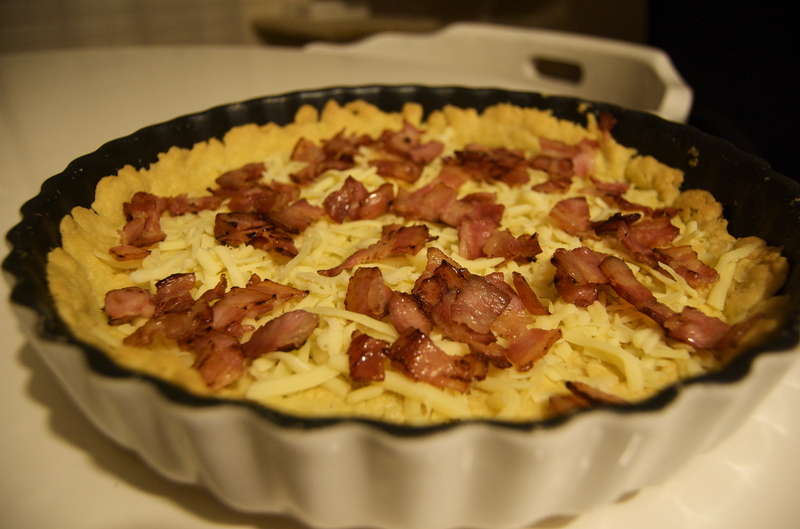 Spread three quarters of the shredded cheese and the bacon over the pastry. 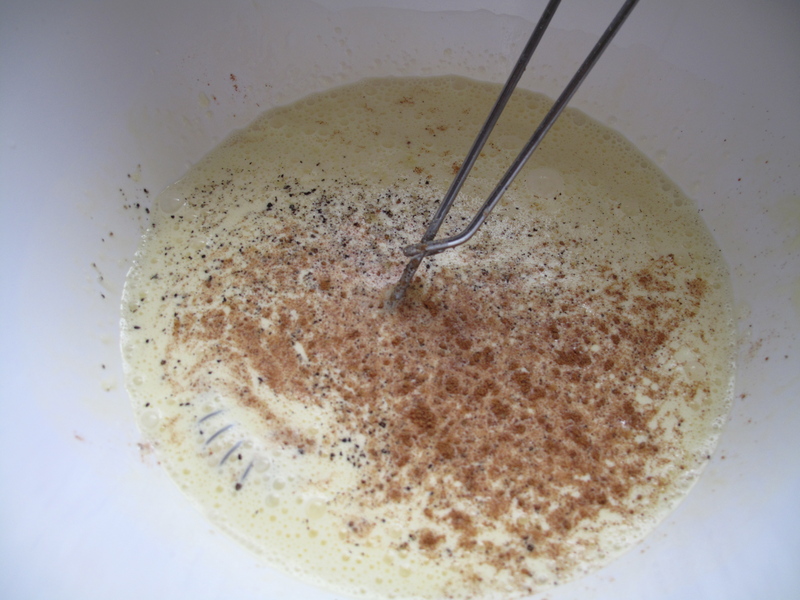 Pour the crème fraîche into a bowl, beating it to slacken it. Slowly add the creme, still beating it. Mix in the beaten eggs and the seasoning. Pour it into the pastry, and sprinke over the remaining cheese. Bake at 190 degrees Celsius / 375 degrees Fahrenheit for about 25 minutes or until golden and softly set. The centre shouldn´t be too firm, you want to make sure you get that lovely smooth texture. Let it cool for about 5 minutes before serving. Serve it warm or cold, with or without a salad and bread.